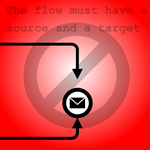 I paid a visit to David Parker’s Visio-related blog the other day, and was pleased to find out that he has written an article for MSDN about Visio 2010’s rules and validation. I should also note that rules and validation are only available in the Premium edition of Visio 2010 but not Standard or Pro. If you want to get your feet wet while you’re waiting for the book to arrive, David has written a new article that was published on MSDN. 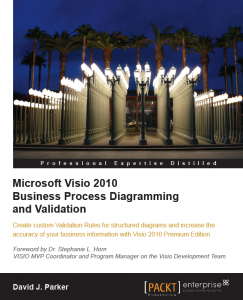 The 23-page article, entitled: “Introduction to Validation Rules in Visio Premium 2010” covers the key concepts in using and creating rules in Visio 2010. 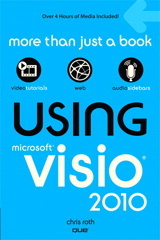 First, the article introduces you to the user-experience of validation and structured diagrams in Visio 2010. It then takes you through the Validation API, how to validate diagrams programmatically, how to examine existing rules and how to create a new rule set. Finally, there’s a walk-through that shows you how to create an example “Fault Tree Validation Rules” set, and how to publish your custom rules. Enjoy the read and let us know what you think of the article!